These days it is very hard to find an organisation that does not have IT as the foundation their business relies on to operate. Most notably communications, accounts, payroll and line of business applications make up the bulk of an organisations’ business critical operations. Therefore maintaining the availability and integrity of these systems should be a priority for your business. In recent years the increase and complexity of cyber-attacks and in particular ransomware has increased the potential damage a security breach can have on your business. This has resulted in schemes such as the UK government backed cyber essentials program and has also influenced the new GDPR legislation. A lack of security awareness and an ignorance of the sophistication of these new cyber-attack methods can result in your organisation being compromised and could have a potentially significant business impact by putting of your customers, limit your ability to trade and damaging a hard-earned reputation. A lot of companies are using scare tactics around GDPR legislation to secure business, we believe in evaluating the right solutions for your business by assessing the risk-cost-benefit equation and providing the most relevant solutions to protect your business. Our managed preventative services will protect you against the most common forms of cyber-attacks and help safeguard your business-critical systems from external threats. We also manage and administer your protection and help plan your future strategic approach to ever evolving threats. Our vulnerability and penetration scanning service has two components. Firstly, it scans your network and provides multiple reports on the current state of your network against common security baselines. It also marks issues found within the Common Vulnerability Scoring System (CVSS) and provides remediation actions. Our toolset then simulates attacks on your network to see what vulnerabilities hackers could exploit. 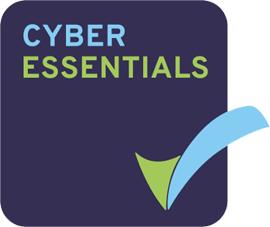 The UK Government backed Cyber Essentials certification scheme helps you to guard against the most common cyber threats and demonstrate your commitment to cyber security. Cyber Essentials is now mandatory for any organisation bidding for government contracts that involve the handling of high risk or personal information. Certum specialise in working with SMEs to help prevent the majority of cyber-attacks through our managed IT security services, we utilise our toolset of scanning and reporting tools to assess your businesses current compliance level across the five key controls and then report on where you are not compliant and produce a remediation plan to ensure your organisation is capable of meeting the requirements to achieve cyber essentials certification.